Explore GE’s extensive Services portfolio with this interactive application based on real customer case studies. Learn the benefits of air core series reactors and discover how they can accommodate system expansion. Discover how Chorus integrated their physical and logical inventories to automatically process service requests. Learn about the harmonics reduction and lowered operational losses associated with blocking reactors. Subscribe to your favorite products and be notified when a new paper is added. Case Study: What should it be? FACTS or HVDC? 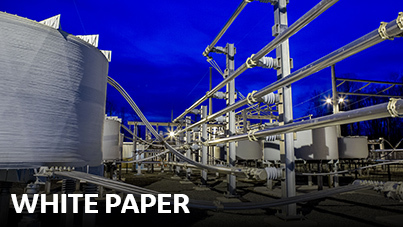 White paper: can social media improve grid reliability?